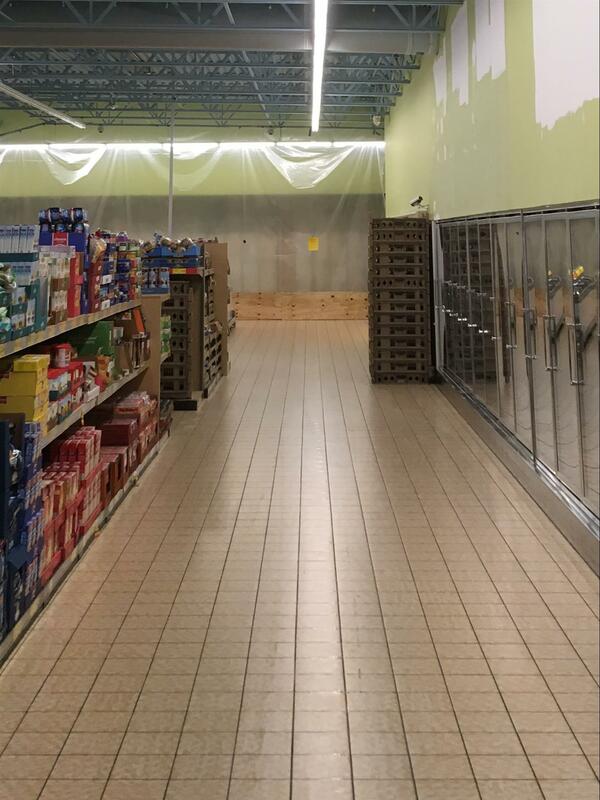 FLOWERY BRANCH, Ga., (April 11, 2017) – A partial mechanical remodel is part of a large project that is underway in a North Carolina location for an international grocery chain. A construction team from Prime Retail Services is performing electrical work for the store’s new refrigeration system. As part of the project, the crew is adding and relocating hub drains that will be used for multideck cooling units. In addition, a network of flexible ductwork is being installed above the sales floor. When the project nears completion, walls will be prepped and painted. Also, lighting on the sales floor will be lowered. The project is scheduled for completion in mid-May.